The colors of the Long P as background to the games in Danmark. 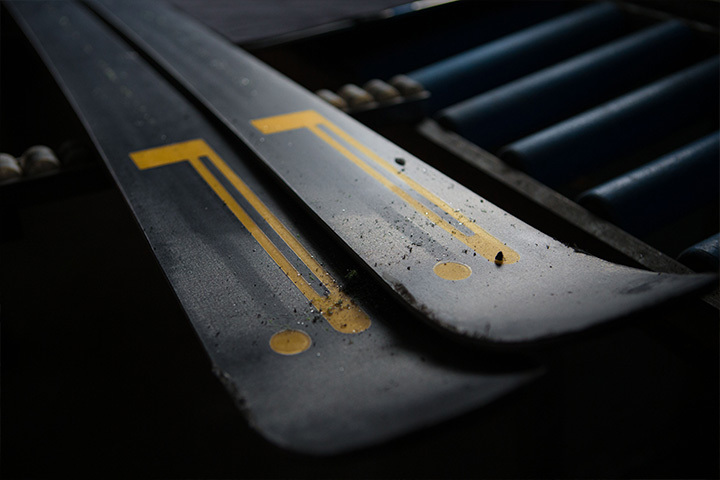 After the sponsorship of FIS Alpine World Ski Championship, Pirelli is ready to play another game with winter sports. 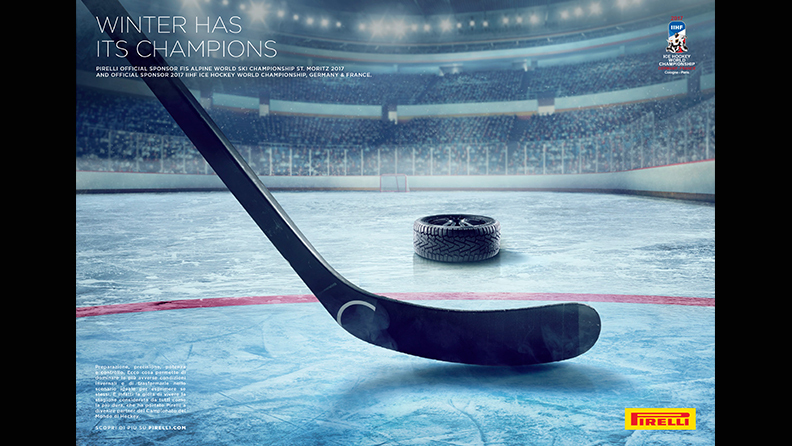 As a matter of fact, the long P is official sponsor also of the IIHF World Ice Hockey Championship. 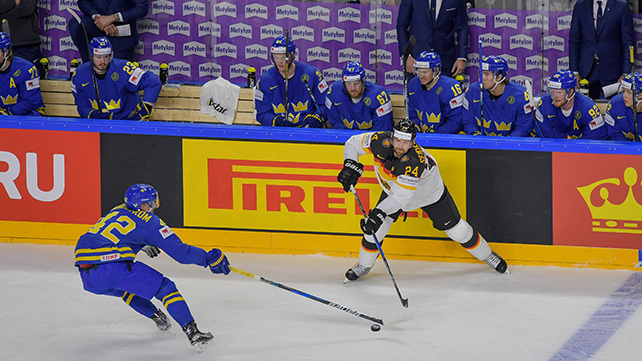 Pirelli’s involvement in the World Ice Hockey Championship will be renewed for the next 4 years, until 2021. 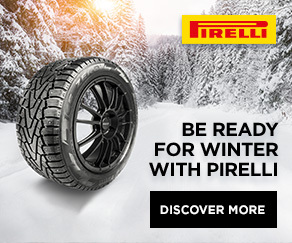 Through this sponsorship, Pirelli strengthens its role of winter leading actor, both in arenas, whether they are snow-clad or icy, and on everyday streets with its cutting-edge technology products. Indeed, if the Premium and Prestige segments are taken into account, only in Europe, one vehicle out of four mounts Pirelli’s winter tires. Therefore, the seasonal car-type approval record reached by the long P group is not surprising: no less than 650. To inflect its “perfect fit” strategy into a winter version, i.e. providing for every vehicle (and every driver) a coverage meeting its specific needs, Pirelli relies on cross-functional teams who put together the skills of Milano Bicocca’s engineers and the experience of Pirelli’s facilities in Germany, so as to test the winter projects in dedicated and owned buildings located in different parts of Northern Europe (such as Ivalo, in Finland, or Älvsbyn in Sweden). 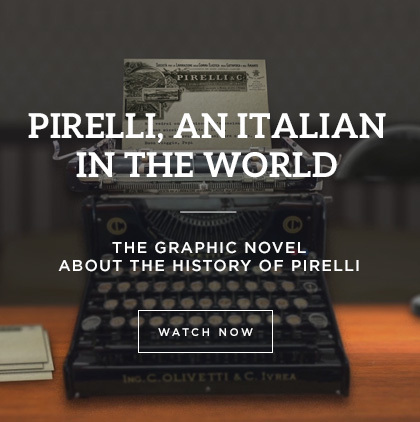 The World Ice Hockey Championships come in addition to the other Pirelli’s winter sponsorships which are already in place in Italy and Switzerland, lead markets for the long P-branded winter. In fact, Pirelli is a FISI (Italian Winter Sports Federation) partner and it will be together with the tricolor athletes during the next season world championships. 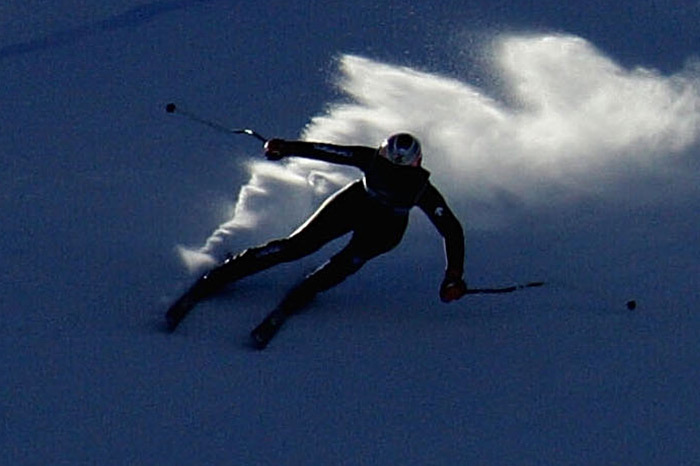 Reconfirmation for the seventh year in a row also from the Swiss-Ski (Swiss Ski Federation). The commitment of Pirelli together with FIS, through Infront Sports and Media, will continue also for the editions of Åre (Sweden) 2019 and Cortina 2021 Championships, whose arenas, like the one of St. Moritz 2017, will be colored Pirelli red and yellow.